There are still certain insecurities for companies when it is about the selection of suitable offers from the cloud. Where would a user get the information from to ensure that the service is legally compliant or if the provider handles sensitive company data securely. In this case, certificates or standards such as Trusted Cloud provide guidance. 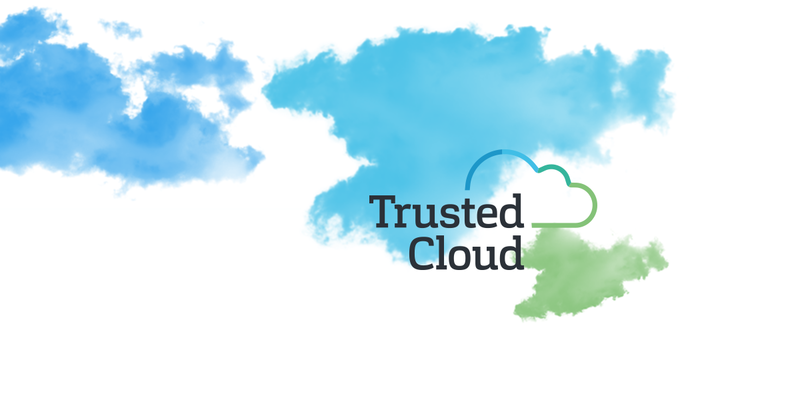 Trusted Cloud recognises trustworthy cloud services that fulfil requirements with regards to transparency, security, quality and legal compliance. With its label, the expert network Trusted Cloud e.V. wants to support cloud computing access as an important pillar of the digital transformation. The German Federal Ministry for Economic Affairs and Energy (BMWi) has taken on patronage for the project. Development and implementation of the concepts were realised by Capgemini, the consulting and IT provider. “We want to build trust with Trusted Cloud and facilitate companies‘ entry into cloud technologies“, says Matthias Machnig, permanent secretary in the German Federal Ministry for Economic Affairs and Energy. In order to obtain a successful listing, applicants need to complete a 64-page long list of criteria. This is then checked by an independent, external auditor. The questions refer to topics such as data centres, sub-contractors, certificates, contracts, security, data protection and compliance, operating processes, interoperability and portability as well as architecture of the service. When the provider fulfils all requirements for a listing with Trusted Cloud, then the listing application is presented to the advisory board for the final admission decision. The advisory board consists of representatives of providers, users, but also science and the German Federal Ministry for Economic Affairs and Energy (BMWi). “Trust in the quality is an important prerequisite for the decision to use a cloud service“, says Dominik Birgelen, one of the founders of oneclick AG. “This is why we have chosen Trusted Cloud.“ “We wanted to impress our clients with transparency and, of course, a unique service”, add Mathias Meinke and Florian Bodner, the other two founders.